Repeat prescriptions are ordered by handing in or posting the repeat prescription slip. Alternatively you can order your repeat prescription online or on your smart phone. You will need to register to access online ordering, please click here to find out more. Please remember to tell us which chemist you wish to collect your medicines from. 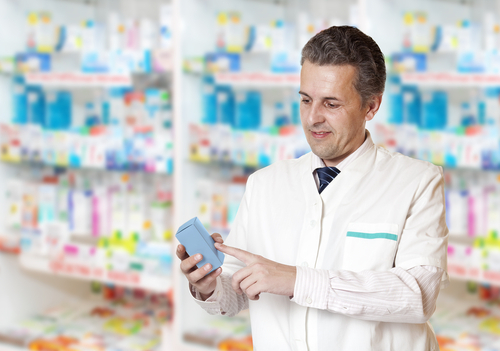 Allow 48 (working) hours notice, before you collect your medicines from the chemist. Please do not telephone for repeat prescriptions unless you are housebound. We usually give a 28 day supply of most medications. Medication should only be used by the patient to whom it has been prescribed. If it is not used then it cannot be given to another patient. We are now able to offer the Electronic Prescription Service, so if you nominate a pharmacy, your GP will send all future prescriptions electronically to your preferred pharmacy. You can then go directly to your preferred pharmacy to pick up the prescription. If you would like to take advantage of this service you can complete a nomination form and take this to your pharmacy. You can also ask your pharmacy to set up your nomination. You can also get a nomination form from our reception team. Nothing – you will continue to get paper prescriptions as you do now. A full list of pharmacies who are offering electronic prescriptions is listed on the NHS Choices Website. You will see ‘Electronic Prescription Service Available here’ next to the name of the pharmacy listed.